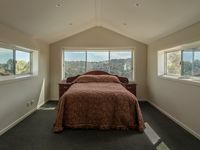 Property 7: American Barn Farm Stay in Wallan Victoria. 135 Acres of peaceful bush land. Property 8: Comfortable barn with views, walks, bush and wildlife. Byron Bay Historic Barnstay at Tooraloo Farmstay. Events Allowed. Pet Friendly. Property 17: Byron Bay Historic Barnstay at Tooraloo Farmstay. Events Allowed. Pet Friendly. Property 18: The Red Hill Barn is a boutique accommodation nestled within the gum trees. Aquila Barn was amazing. Very homely and comfortable with gorgeous views. A highlight was seeing Wedge Tailed Eagles around the property. Thoroughly enjoyed our stay.